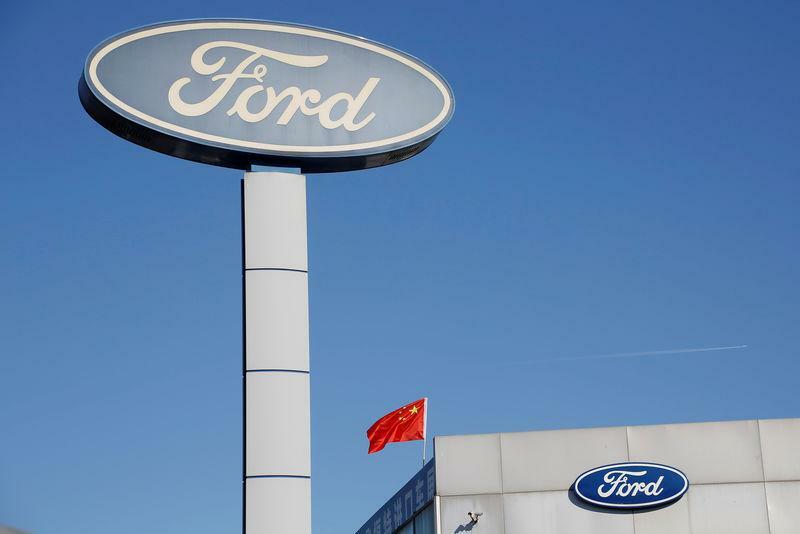 BEIJING (Reuters) - U.S. carmaker Ford Motor Co (:F - News) unveiled a new China sport utility vehicle (SUV) on Tuesday, and said its plan to release a spate of new models will help turn around tumbling sales in the world's top auto market from the start of next year. Ford, fighting to recover from a severe sales slump in China, will start selling the entry-level SUV, called the "Territory", early next year. The car is jointly developed with local partner Jiangling Motors Corp Ltd (JMC) (Shenzhen:000550.SZ - News). The car, based on a no-frills model from JMC, is aimed at appealing to consumers in China's smaller, so-called lower-tier cites, which have been a major engine of growth in the market over the last decade. It would compete with models from local firms like Geely (HKSE:0175.HK - News) and Great Wall Motor (Shanghai:601633.SS - News).